The importance of light distribution in LED grow light systems is many times seriously underestimated. 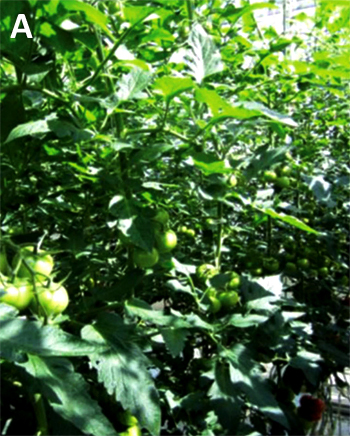 Certainly plants which are sensitive to fluctuations over the canopy in received PPFD like most ornamentals are in absolute need of a proper light distribution. Applications which require perfect beam distribution or more complex beam patterns can be seen in street lighting, stadium lighting and of course horticulture grow light applications. When we look at horticulture LED lighting, a perfect even light distribution over the plant canopy from a single luminaire is still something most brands seem to have difficulties with to manage. 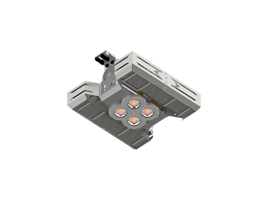 A lot of horticulture LED applications use LED emitters on an extruded heat sink without use of any optics to control the beam distribution. As a result the light received at the plant canopy will fluctuate according Imax.cosPhi what means that the light intensity straight under the LED is much higher than on the sides of the beam angle. This result in different PAR values over the canopy with fluctuations in the growth process as a result. 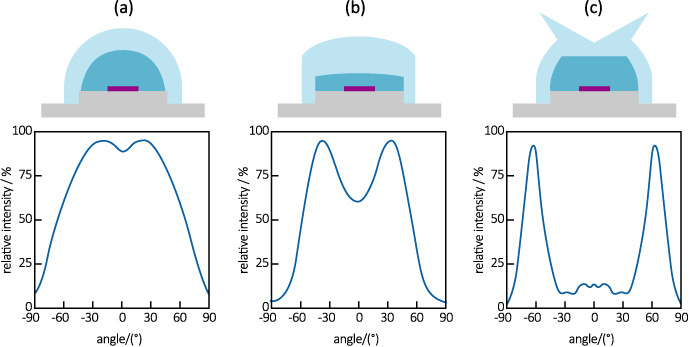 A LED package without secondary optics has a typical light distribution angle of 120° or 80°. This means that when the energy directly under the light fixture = 100%, you will have a light and energy decrease to 80% at 30 degrees left and right, and a further erosion to 40% at 60 degrees left and right of the luminaire. 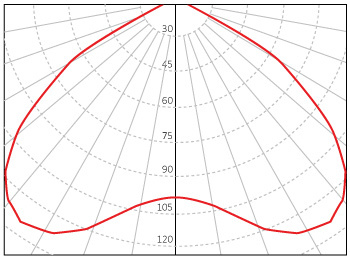 Light decrease in function of beam angle of a 120° LED package without optic light distribution. Of course you can kind of overcome this by placing many LED grow lights close together and make overlaps so that the energy at the plant canopy gets a bit more in balance, but in many cases we still see fluctuations of over 30%, while this also leads in many cases to the need of placing extra construction bars in the greenhouse which you actually don’t want. Actually the solution to make a complete even light distribution over your canopy isn’t that difficult. All initial output light beams of the LED package are scattered and redistributed in a light shape in this way that the light within the beam angle is complete even distributed. As a result you get a homogeneous light distribution over your canopy > 90%. Batwing light distribution creates an even light distribution within the beam angle. Of course we make it sound a bit too easy. To get a complete even light distribution over your plant canopy there are a few basics of lighting what you have to keep in mind. First of all there is the basic law of lighting - the smaller the light source (LES – Light Emitting Surface), the easier a beam shape and beam pattern can be created from that light source. 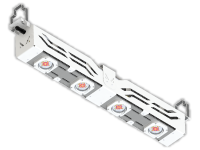 So for lighting applications where light distribution is a must, you want to create a light source as small as possible in order to have a perfect beam control. In HPS SON-T lamps the beam pattern was mainly created through a reflector which redistributed the light from the back side towards the sides into an oval light shape. 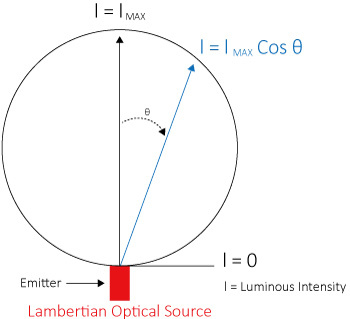 In LED lighting more complex beam shapes are created through a TIR or Total Internal Reflection lens. But there is of course a drawback on that – small light sources means also a high concentration of heat on a small surface that needs to be cooled away, and that’s where heat pipes drop in. Once aluminum or copper as a conductor becomes too slow to conduct the heat, a heat pipe is an easy and price friendly alternative to transport the heat away from the LED source towards an area where the convection and radiation can be realized. 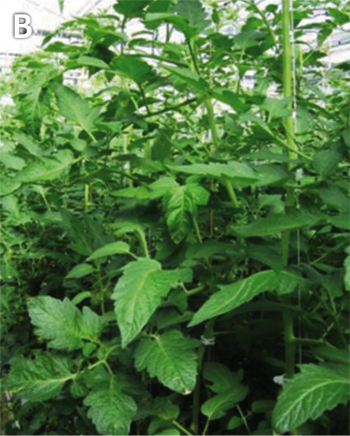 A second effect of TIR light distribution is a deeper penetration in the plant canopy. Similar as the use of diffuse glass in greenhouse cultivation, a scattering and refraction of the light distribution of LED grow lights can make an immense contribution to a better distribution in the depth of the plants, leading to an immediate increase in photosynthesis and extra growth. By creating our very concentrated LED horti light engine CoolGrow®, we are able to use advanced batwing lens technology to create a light distribution over the canopy within 90% homogeneity! Even the beam pattern can be adapted to the size of the canopy resulting in square or rectangular beam patterns, ideally for floriculture projects with LED lights or sensitive crops to variations in PAR. The batwing principle – individual light beams are modulated for a complete even light distribution. Our CoolFin® and CoolStack® LED grow lights combine four of these CoolGrow® LED grow engines each under its individual batwing lens. All together these full passive cooled advanced grow lights produce an absolute market leading PPFD up to 1.950µmol/s.